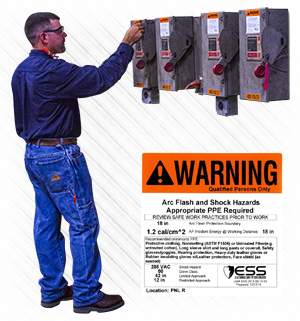 As required by OSHA and the NFPA 70E, Electrical Safety Specialists offers electrical Arc Flash Risk Assessment to determine the risk level for all areas in which your employees perform work. This is critical to ensuring worker safety. The purpose of our visit is to help save lives and money by safe work practices and minimize the possibility of injuries and lost time accidents. Our arc flash Engineering Technicians have several years of experience in commercial/industrial electrical installations and maintenance. They also have extensive training on the intricacies of the data collection process for Arc Flash Risk Assessment, Selective Coordination, Equipment Evaluation, just to name a few. 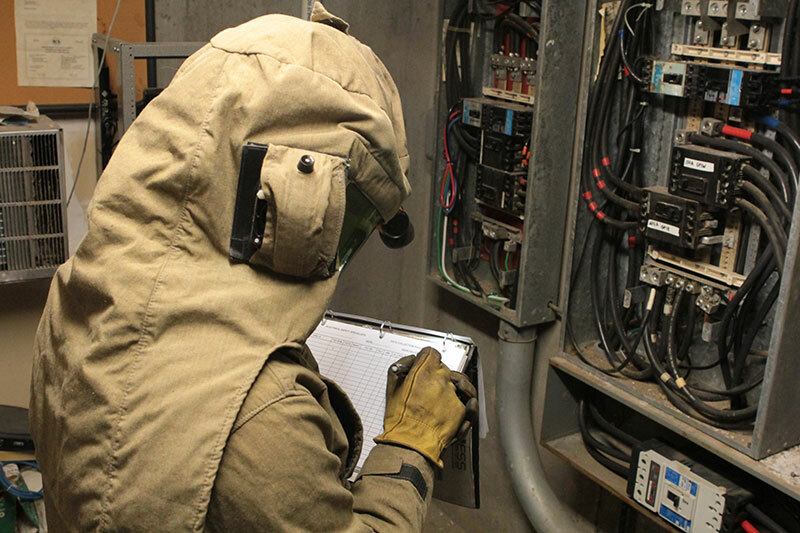 An ESS technician will collect the necessary information to perform an Arc Flash Risk Assessment. 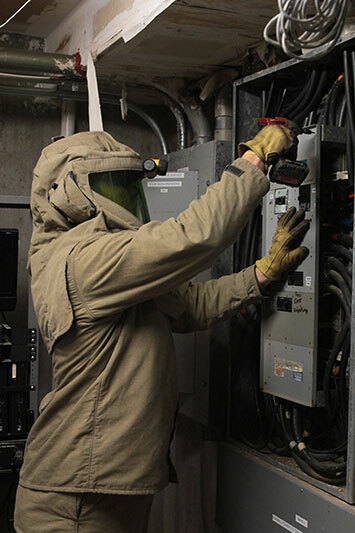 The arc flash risk assessment identifies the presence and location of potential hazards and provides recommendations for PPE, boundaries for limited, restricted and prohibited approaches, recommendations for flash protection, and safe work practices. It is imperative that we collect the correct information needed to perform the assessment. Many factors such as conductor size/length, over current protection device (i.e. breakers, fuses), settings, transformer sizes and impedances, as well as looking for all areas requiring labels per NEC, NFPA 70E, IEEE will be documented and physically verified on-site. Once the data collection process is complete, we will begin the process of creating arc flash one line diagrams and conducting a hazard risk assessment including arc flash, shock hazard, short circuit assessment, and coordination studies. We also offer mitigation studies (Optional) to help reduce the arc flash hazards to a manageable level. We usually suggest mitigation as a service to be done only if needed. Find out your levels of risk before you try to fix them. This will be the second visit to your facility. One of our arc flash Engineering Technicians will apply the arc flash warning labels generated by the arc flash study and conduct the 4hr. NFPA 70E Arc Flash training. This is another critical step in the process as it is imperative to insure that the arc flash warning labels are placed in the correct locations, as a misplaced label could mean life or death in the wrong situation. Our goal is to save lives and this will not be possible if your employees are not actively engaged in the process and safe work practices set forth by your company. There are critical steps in performing an Arc Flash Risk Assessment, all the efforts thus far will be meaningless unless your employees are able to follow and understand the guidelines set forth by OSHA, NFPA70E, NEC, and IEEE.